Back in the day, Palladium boots were among the best jungle/desert boots you could get. Made in France with quality. Light and breathable – perfect for hot environments. The cotton on these would dry in no time. Did you know that Palladium boots were used in desert operations by the French Foreign Legion? That’s how functional they were. Palladium used to make fantastic light boots. The other day, I saw a thread on Survivalist Boards of someone trashing these boots. Apparently the new Palladium boots are unreliable. They fell apart within days of purchase. 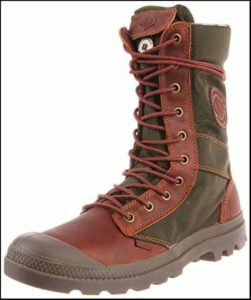 Palladium still sells the boots on Amazon, but their quality is gone since they moved their production to China. But I decided to find out for myself – they’re cheap enough to take the risk. So I got myself a pair of Palladium Pampa boots and see if they are as bad as people say. And you’re right – that’s what they are now. But before… In fact, Palladium’s strong heritage is the only reason why we’re even talking about them right now. The boots were made for desert and jungle operations, so they needed to be light, breathable, and durable at the same time. Today… Palladium is more of a fashion company. They still make boots… but also sneakers and tennis shoes. Too many models to list. Are the boots worth the money? 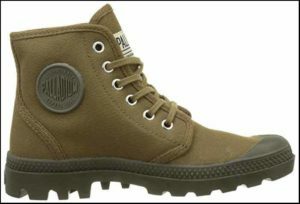 Pampa is THE Palladium boot. It comes in three colors – gray, khaki and black. They say it’s the original design that the French Foreign Legion still uses in tropical climates. …that the foreign legion is not using the same issue of the boot that you see on for sale on Amazon right now. All in all, the construction is not bad… for the price. The canvas upper is nice and strong, but it ain’t waxed or anything. Hard to clean when it gets dirty, but possible. (you’ll just have to work hard). There is double-stitching in most of the areas. Since it’s made out of canvas, The Pampa is not waterproof. The thicker canvas makes it water resistant at best… but this thing will soak through in the rain in no time. The good thing is that the boot will also dry fast. Mine took around 30min in the sun to be completely dry. The rubber sole is nothing special, but it can handle extreme heat (won’t melt like Converse). Small rocks will get stuck in the sole, but this is the case with most boots. Something I didn’t like is that the boot is very slippery on wet surfaces. It’s not a problem out in the country, but if you’re wearing them in the city, beware. The covered toe cap makes the shoe more durable and resistant to all kinds of small damage that you can find on the hiking trail. It will also protect the front of the boot against tearing. Site Note: The boot (or any other shoe) will usually break from two places: a tear in the front, or a heel blowout in the back. Covered toecap protects against this. Shoelaces are very shabby. I didn’t think they would hold, so I switched out mine as soon as I got the shoes. Another thing that I didn’t like is that the tongue of the boot is not attached to the sides. Again – just imagine how the tongue on Converse looks like. I can feel every step that I take in these boots – there is no midsole separating the rubber from my foot, and the insole is too shabby. 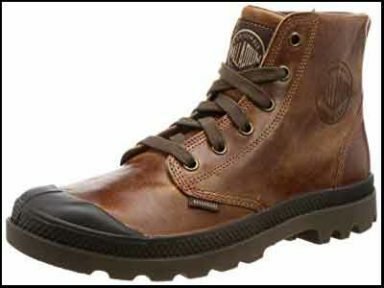 The Pampa is comfortable on the feet because it is lighter and more flexible (cotton stretches) than your normal boots. When I’m wearing it, it feels more like a shoe than a boot. Like a heavyweight converse made for hiking. One thing that bothers me: Very little arch support – and I really feel it when walking downhill. I don’t recommend you to go hiking in this one. Sounds good for the price? The boots can break on you within days of purchase. Very unreliable quality control. In other words – you get what you pay for. And if you get a bad pair… you never know WHEN it’ll break down on you. Verdict: These are fashion shoes, not “desert boots”. So, now you know why the French Foreign Legion doesn’t use these boots. Also, don’t forget that they’re old – this design is from 70 years ago. Technology has evolved, and the cheapest hiking boot on Amazon today will probably perform better than these “boots”. Obviously: this is a no-go for survival. Disclaimer – I don’t own the tactical combat boot. Below info is based on what I could find online. Reviews from people who own the boot. As you’ll see, they’re more than enough to convince you not to buy the boot. A “Tactical Combat Converse” sneaker? 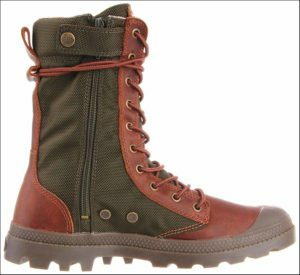 Unlike the “original” Pampa, the tactical combat boot’s upper is made out of leather and ballistic (read: extra strong) nylon. The boot is also taller: 11″ from top to bottom – giving your feet more protection from the elements. It’s got the standard Palladium rubber sole with the covered toecap. These boots “tend” to fall apart. They’re marketed as “tactical”… but they’re made in China out of cheap materials with poor quality control. The pretty photos are all that these boots have going for them. The boot starts falling apart in 2-3 months while being worn in city conditions. These boots are trash. Do not buy them. They look sturdier than the normal Pampas, but looks are deceiving. This kind of product is why the label “made in China” has such a bad rep.
You can already guess where I’m going with this one. It’s the same story as with the tactical ones. Same company, same manufacturing principles. Your Pallabrouse Hikers can come apart within a few months. Or days. When getting a hiking boot – don’t you want reliability? Toughness? Ruggedness? Won’t find any of that here. Palladium Pampa Hi Leather – A bit better? The boots are thin, flexible, and has no insulation. They weigh around 2.5 lbs. You’ll have to wear thick socks with them. You can treat them as light summer hiking boots… but for they’re overpriced for the quality. The reviews are slightly better, though. …considering the Chinese quality control standards of Palladium, I wouldn’t recommend these boots. They’re not worth the risk, especially if you’re going to use them in the nature. It’s a shame that Palladium boots are still associated with the French Foreign Legion. I hope this review will help set things straight. Palladium boots are garbage. Don’t buy them. Palladium boots are of poor quality and can fall apart on you anytime. The boots are not made to last longer than 12 months. They’ll probably last less. The boots are overpriced for the level of quality that you are getting. Are Palladium Boots Good for Hiking? If Palladium’s boots break in the city, they’ll break on you when you’re hiking. They’re absolutely not good for hiking. I don’t recommend you skimp on boots… if you absolutely must buy a cheap pair, get yourself some boots that are made for hiking instead. Second hand or just cheap boots. They’ll probably fall apart on you too, but not as fast as Palladium. Where can I get vintage palladium boots? Check out Etsy and eBay, I’ve seen some of them selling there. Good luck finding your size though. 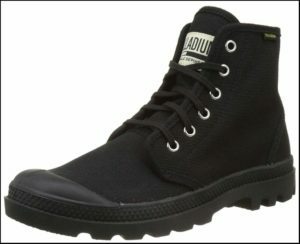 Does Palladium Boot fit true to size? The boots run a little small, so order ½ size up for them to fit (1 size up for additional insole + thick socks). They do run narrow so keep this in mind if you have wide feet. 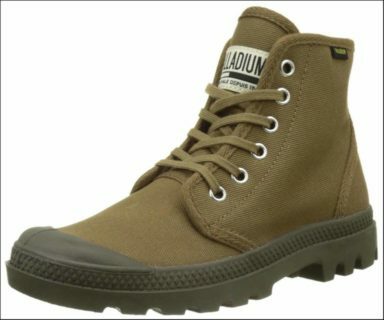 The original Palladium boot reminds me of the Vietnam Jungle Boots. They cost about the same as Palladium’s “tactical combat” boots, but they’re actually made for combat and won’t fall apart on you in a few months. Well, that’s assuring. I was delighted to find a new pair of Palladium Boots on Amazon to replace a pair I’ve been wearing for around eleven (11) years, practically non-stop in my travels. They look really nice but so much narrower even though I was careful to order the same size, 4/37. The original boot strengthened me when I felt weak and made me sing “These Boots Are Made For Walking” whenever I put them on. They’re such an old and faithful friend. But now, I’m in the process of returning the new pair because, like the man said, they’re just not the same; they hurt and are made in China. Change comes even when we don’t want it . . .
P.S. My brother was in the French Foreign Legion; I wonder if he wore a pair! Is such a problem I’m sure one of my pairs would be trashed by now, but all remain in good shape. I don’t just use them for regular use either. I take them hiking often and urban travel much often as well. No stitches have fallen apart and only one pair of my boots the rubber sole on the bottom has started to worm down a bit (keep in mind I’ve been wearing that particular pair very frequently for over 3 years) it’s normal for tread to wear off boots though and have had other “tactical” boots tread wear down in as little as 6 months. These are not advertised as non-slip but I’ve never had any trouble with slip in snow, steep rock face, or general wear, so good enough. Long story short, the author bought one pair of Palladiums and trashed the whole brand. These are a good reliable shoe. Choose your own experience, don’t listen to the author. Hi Kiara, thanks for your comment! I’m glad that you’ve only had good experiences. Re-reading my words, I admit the article might come off as little bit over-the-top. I’m going to sit down and edit it when I find some time. But the point still stands. My main qualm with Palladium is that their quality control is unreliable. If you’re using them for fashion that’s fine – just return the bad pair or swap it out. But people (including you) are HIKING in these boots. Imagine if they break down on you in the middle of a 5-day hike? This is a very real scenario with Palladium, considering their current quality control standards. Here are my thoughts. I’ve been buying Palladiums for a little over six years. I’m an art teacher and I discovered them, when I decided to look up skateboarder shoes. I knew I wanted a sneaker, but not a converse, as they’re so flat soled. 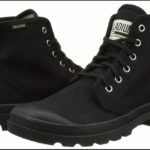 I loved the Palladium baggy boots with the plaid lining and bought them as a beginning of the year shoe the next year, after having bought them once. I had no idea they’d be discontinuing them, otherwise I would’ve stocked up. I began to buy similar neutral colors and they worked alright. But, then I bought a high top, a little lower than the baggy. It was stiff, the same size, but felt too narrow. That was a year ago or so. I’ve only worn them a few times, because they lack the comfort of the ones I always wore. Well, I just ordered another pair of baggies, my same size of 8 1/2. Cheap? I think $70 is not cheap. I mean they’re canvas shoes glued to rubber, which does, by the way, always become frayed or separated within a year, if you wear them all the time like I do!!! The first thing I noticed was this little flaw in the rubber around the toe area. I’m trying them out right now, as I sit in my house, but these are not the same Palladiums that I grew to depend on! The quality has deteriorated, but the price has not gone down! These should not be $70 sneakers! They should be $35 at the most! The same thing happened back when I had some go to shoes for work that were American made. Then, they started making them in China. I could never find the right fit any more! Naaa you’re right there mate! I still buy them for how they look but they are a total garbage. Brought 3 in the last 2years from reliable sellers. They won’t last more than 6 months max, they fall apart and if you know any shoe that looks as good I’ll take it any day over these. Sad thing is I’m a sucker for a good looking pair of shoes and I’ll keep buying these ,probably counterfeit from Alibaba next time. Leather Palladiums are the TOTAL opposite of this article. 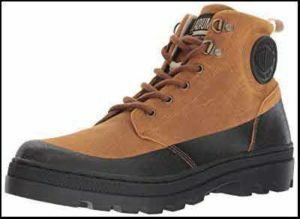 They are extremely durable and are a quality made boot. I bought . my first pair in France 5 years ago. They have become my traveling shoes. They have been to multiple countries on various terrain. They are water proof. The leather is butter soft and comfy. My boyfriend calls his “vaginas” for his feet. I totally get it. This article really burned me. Maybe this was just in reference to the canvas ones. I never work those.